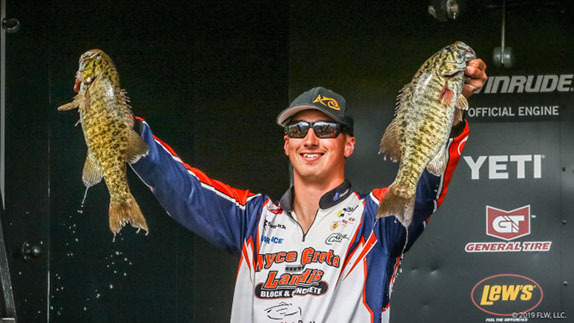 You�d think that if there was a fishery on a tournament schedule that you have put in thousands of hours on, you�d be chomping at the bit looking forward to it. Though the end result of 36th place is less than something to write home about, the lessons I learned, and the self-imposed barriers that were overcome were extremely valuable take-aways of this event. I moved to Florida after high school in 2006 with the specific intention of learning how to be consistent in the shallow, vegetation-rich, natural fisheries that abound in the Sunshine State. Over eight years of learning the ins and outs of fooling Florida bass, the one thing I learned was success is all about location, and the location was determined by how the vegetation is set up on each lake, since healthy and diverse vegetation is what drives the entire ecosystem in natural Florida lakes. Spending years out on the Kissimmee Chain, I saw many changes to the five lakes. During that time I was intimately aware of the changes each lake was going through, and my preferences of which lake I fished most, at any given time, were correlated with those changes. Once I left Florida in 2012, I departed with a strong preference for Lake Cypress because for two years the grass was perfect and the fishing was excellent. 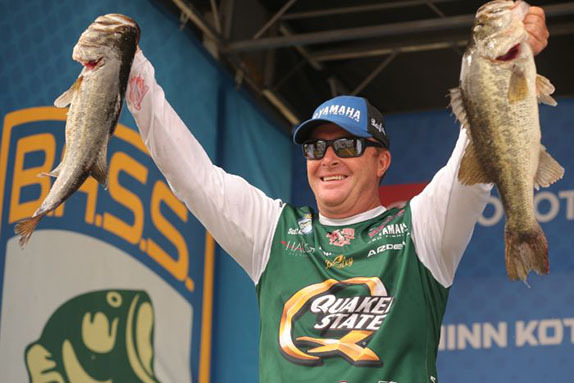 Leaving with such a strong bias proved to be the kiss of death for me at the first Bassmaster Open last year, when I came into the event determined to focus my efforts on Cypress despite the less-than-ideal conditions on that lake. My inability to adjust based on conditions resulted in a 111th-place finish, which was my worst of the year. 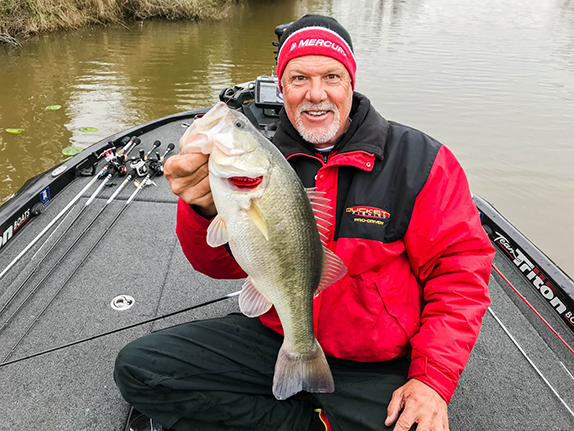 I left the chain that I once knew so well, realizing that my history was hampering my ability to listen to my instincts, which is a dangerous position to be in as a tournament angler. Going into this event, I figured that the failure at the Open last year would allow me to forget some of my history and fish more based on current conditions. However, after practice, I found that though I was more willing to look at each lake on the chain, I was still just focusing on all the same areas that I would traditionally fish during a spawning event and avoiding all other areas despite how well the grass and other variables set up. Unfortunately, those areas that I used to frequent didn�t set up right, primarily due to the recent hurricanes changing the landscape of the grass flats. What was worse than just running unproductive areas was running them in three of the five lakes � spreading myself very thin. Going into the first day, I had one area on Toho, a few on Cypress and a bunch on Kissimmee. Taking off from Lakefront Park that first morning, I was feeling uneasy about my plan for the day. I started on my offshore area on Toho while I was waiting for the lock to lighten up, and was able to pick off a small keeper on a Texas-rigged Z-Man Mag FattyZ, but couldn�t catch another before heading to lock through to Cypress. Cypress, once again, was a bust for me. I caught one small keeper in there, but had expected much more from an offshore area I had found. But with the warming weather, I figured that bite might be volatile as the fish started moving in to spawn. Making my way down to Kissimmee, I was able to quickly fill a limit, but I was only catching small males and I wasn�t seeing any size improvement. By around 1 o'clock, I hadn�t made any upgrades and had almost run through all my areas. To say I was stressed out would be an understatement. I could feel the event slipping away from me, and it wasn�t until I forced myself to follow my gut and fish a few canals that I have never fished before, that I was able to cull up a few times. I finished the day with a measly 10-13, which put me in the mid-90s in the standings. I knew that unless I changed my whole approach to my fishing, I would once again leave my former home venue with a poor finish. Leaving blast-off, I had a plan to head down to the very south end of Kissimmee and fish some new water, including some canals where the fish were likely to spawn, but I still wasn�t convinced that it was the right move, as it was a plan still based upon history of fishing that area. I had a brief internal battle with myself over whether or not to follow my gut feeling. Honestly, I was very close to not stopping, but something told me I needed to fish that area. In the end, I made a U-turn with the Z19 and set down in the area. What ensued was a lesson in following your instincts. Almost immediately I hooked and landed my biggest bass of the event � one over 5 pounds. A few casts later I caught another close to 4 pounds, and within another hour I caught a limit and culled with another solid 4-pounder caught on a Jackhammer ChatterBait. I finally was fishing with my gut and the results were overwhelmingly positive, and for the first time that week I was making decisions a professional should make. Though I lost two 4-pounders during the day, I ended with an 18-07 limit that skyrocketed my position in the standings to 36th place. Some of the most pivotal events in my career have been lackluster on paper, but in terms of what I was able to take away from those tournaments, they were invaluable. I would classify this as one of those pivotal events. Decision-making is what separates a good finish from a terrible one, and this tournament showed me that I'm capable of making key decisions that can keep me in the hunt and help me excel under pressure. Two down, five to go! (Miles "Sonar" Burghoff is an FLW Tour competitor and the co-host of the TV series "Sweetwater." To visit his website, click here. You can also visit him on Facebook, Twitter, YouTube (SonarFishing) and Instagram (@sonarfishing).